I’ve found a wonderful bargain excursion. In fact, it’s inspired me to put pen to ink and write a little ditty. Feel free to sing along, you should know the tune. The cost is free if I do say so (clap, clap, clap, clap) Deep in the Hart of Newhall! What is this great place? It’s the Hart Ranch and Museum. 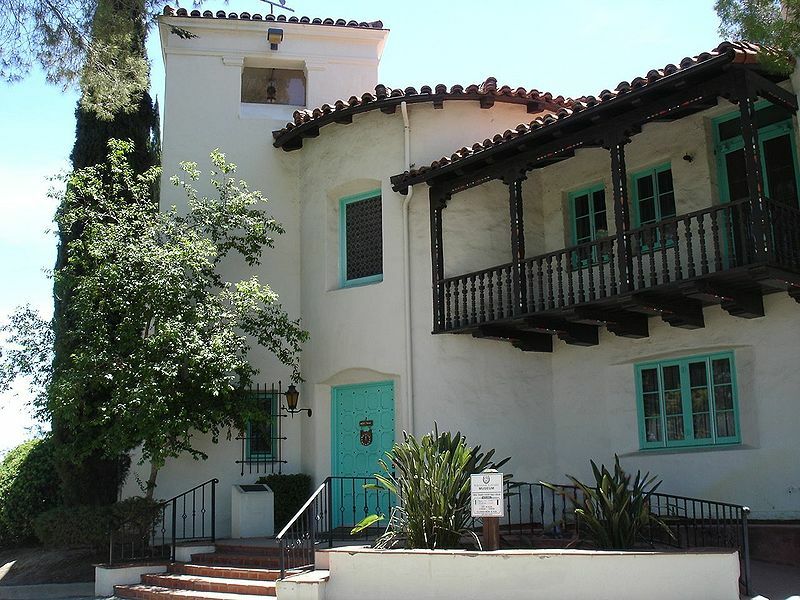 The Hart Ranch is the former residence of silent western film star, William S. Hart. When he died he left the ranch to Los Angeles County intending for it to become a museum. His desire was that admission would be free, as he wanted to give back to the public who supported him during his film career. So, to this day, the public can view his home and ranch without any admission fee. Isn’t it lovely? It’s at the top of hill, so there’s the added bonus of getting some exercise on your way there:) The inside is wonderful too, and left as it had been in Mr. Hart’s day. Wow! I am a really bad photographer. Outside of the residence are extensive grounds housing the resident livestock, a bunkhouse, and a pet cemetery.